Home / Blow Dry • Damaged Hair • Dry Hair • Flat Iron / Is it Safe to Use Heat Styling Devices with Oils? 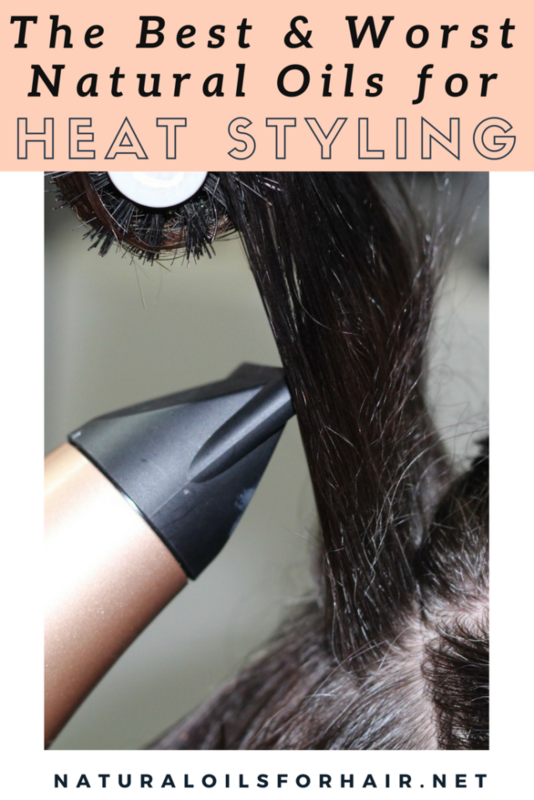 Is it Safe to Use Heat Styling Devices with Oils? With so many different kinds of oils providing a variety of unique and mutual benefits for hair, one would expect some of those benefits to transfer into applying oils prior to using heat styling devices such as a blow dryer, a flat-iron or a curling iron. Unfortunately, that’s not exactly the case. Can You Put Oil in Your Hair Before Blowdrying? Yes, you can put oil in your hair before blow drying but this doesn’t apply for every oil. Application of certain natural oils can lead to frying your hair once the device surface comes in contact with your hair. This usually leads to severe dryness and hair damage. There have even been cases of the hair coming right off with the flat-iron. The only way to recover from this type of damage is by trimming your hair irrespective of whatever magical solutions you locate online. So which oil is the best oil for blow drying natural hair? My personal favorite is grapeseed oil. These oils have a high smoking point and can tolerate the high temperatures of a blow dryer, flat iron or curler up to 500 F.
While the smoking point of some unsuitable oils such as coconut oil and sesame oil fall within the temperature range mentioned, the main issue is increased amounts of heat degrades the qualities of these oils. They are better reserved for other suitable hair treatments. You can find out more about the smoking point of oils HERE. Bottom-line, you can use certain kinds of oil for blow drying, straightening or curling. However, they should be used with caution to avoid damaging your hair. Apply the oil lightly. Don’t soak your hair in it. If you have a residue after working through your hair, you’ve applied too much. You can get rid of the excess by dabbing at your hair with a microfiber towel. Before you apply heat to your whole head, test a small patch of hair just to make sure it’s ok especially if you’ve never combined oil with heat application before. Start with low – mid temperature on the small section of hair you’re testing. Increase accordingly if your hair takes well to it. Feel free to apply a commercial heat protectant then layer the oil over it. 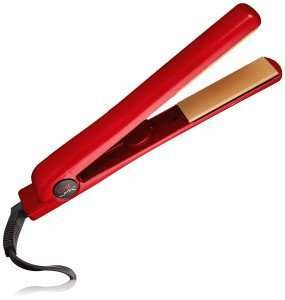 However, if you’re blow drying, this might be too much for your hair and will prevent bouncy results. Personally, I find grapeseed oil works quite well on its own for my hair. 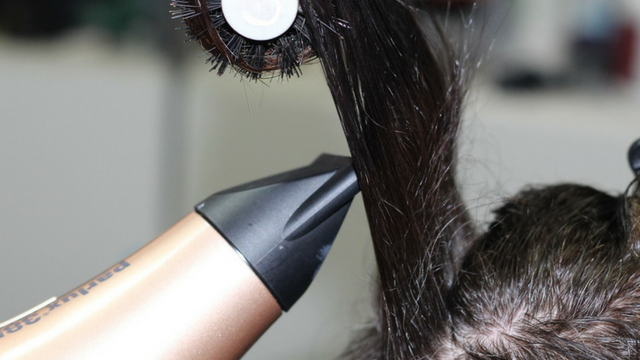 Whichever method you choose for blow-drying, curling or straightening your hair with oil, ensure you test out a small section of your hair before you proceed. Following the tips above, your hair should revert on next wash day. Keep in mind excessive heat application on hair will lead to dry hair and damaged hair, in the long run, irrespective of how many heat protectants you applied prior to heat styling. For more articles like above, sign up to the newsletter below for updates, tips, discount codes on the Healthy Hair Care Series and freebies. You can also Tweet your friends, family, and colleagues about the site HERE. Thanks!